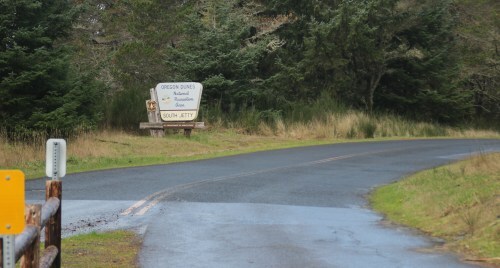 Hwy 101 mile marker 192. 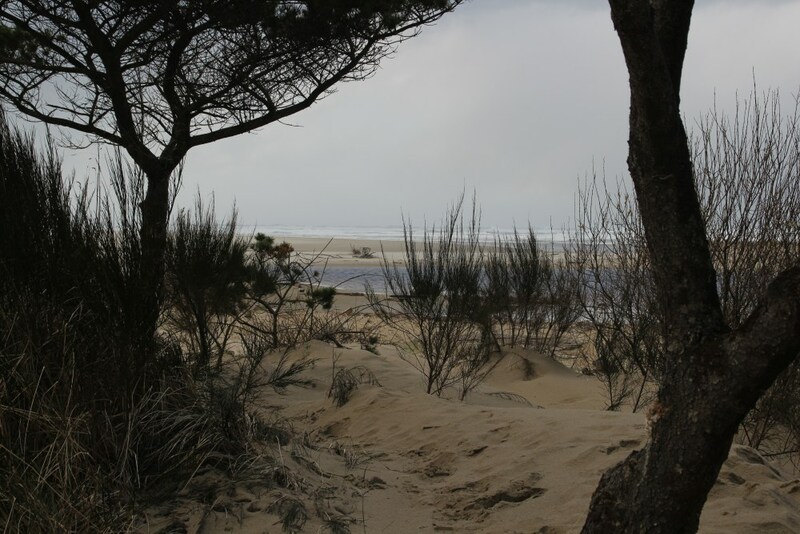 South Jetty is actually a U.S. Forest Service park, and is a unit ot the Oregon Dunes National Recreational Area. 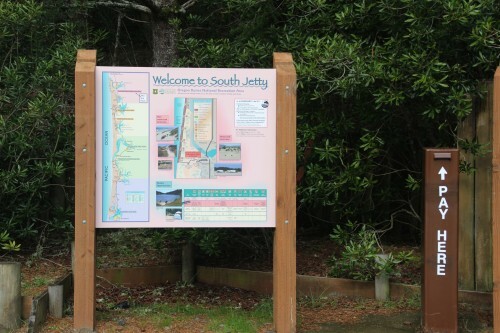 USDA link:South Jetty Day use fee or annual pass required. 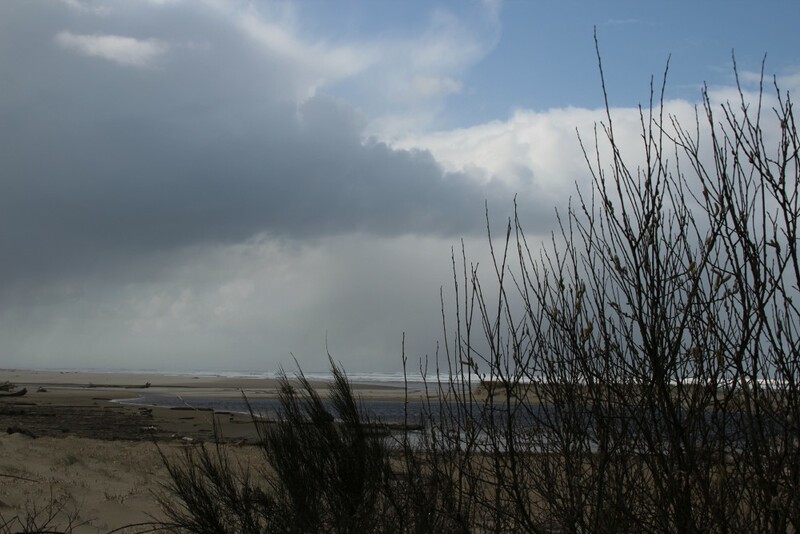 Here's a view taken near the beach entrance.